Published: Oct. 17, 2018 at 10:57 a.m. 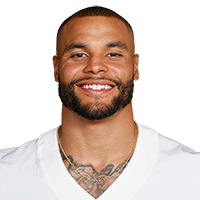 Updated: Oct. 19, 2018 at 02:07 p.m.
Ryan has been an absolute monster in the stat sheets at home, scoring 27-plus fantasy points in all four games at the Mercedes-Benz Stadium. 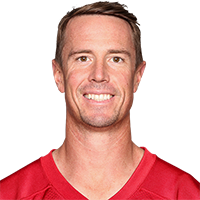 The Falcons are also averaging 440 total yards and 34.5 points per game on their home turf, so look for the veteran to post a nice stat line against a questionable New York Giants defense. 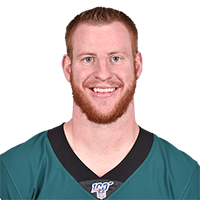 Wentz is back to being one of the top quarterbacks in fantasy football, scoring 20-plus fantasy points in each of his last three games. I'd keep him rolling against the Panthers, who have allowed an average of more than 23 fantasy points per game to opposing quarterbacks on the road. Look for Wentz to make more noise. 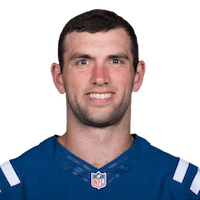 Listed as a start 'em in each of the last two weeks, Luck scored 22.7 points against the Jets and has now thrown for 11 touchdowns and put up 22-plus points in three straight games. He's also scored 18-plus points in 10 of his last 12 games at Lucas Oil Stadium, so I'd keep him in your fantasy lineup against an underrated Bills defense. 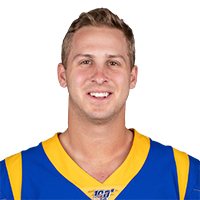 Goff has put up two straight stinkers in the stat sheets, scoring a combined 21.78 fantasy points with just one touchdown. I'd expect him to bounce back this week, however, as a favorable matchup against the 49ers is next on the slate. Their defense has surrendered over 21 fantasy points per game to opposing quarterbacks in 2018. 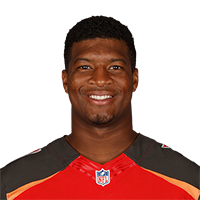 Winston returned to his starting role with a vengeance last week, scoring four touchdowns and 30.9 fantasy points in a loss to the Falcons. 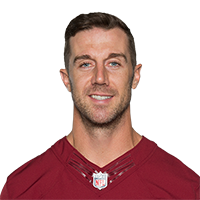 I like him to put up another nice line this week against the Browns, who have given up an average of 340 yards and over 24 fantasy points per game to opposing quarterbacks on the road. 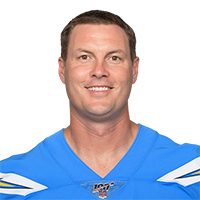 Listed as a sit 'em last week, Rivers produced just 14.3 fantasy points in a win over the Browns. Next up is a London game against the Titans, who have allowed seven touchdown passes and an average of just 14.9 fantasy points per game to opposing quarterbacks. The Titans have also allowed the eighth-worst passer rating (81.2). 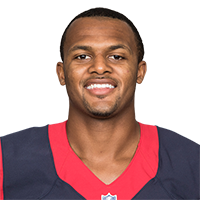 Watson is coming off a brutal performance against the Bills last week, and an upcoming contest against the Jaguars is anything but favorable. In fact, their defense has allowed just one quarterback to score more than 16.5 fantasy points at home since the start of last season. If you start Watson, temper your fantasy expectations. 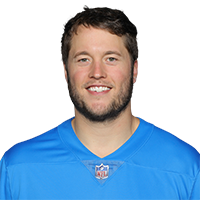 Stafford is tough to bench with four teams on a bye, but hear me out. First, he's produced fewer than 15.5 fantasy points in eight of his last 12 road games. Second, the Dolphins are still giving up 15.1 fantasy points per game to quarterbacks at home (despite Mitch Trubisky's three-score performance). I'd beware Stafford this weekend. Prescott put up his best game since last December a week ago, producing almost 30 fantasy points in a win over the Jaguars. I wouldn't go out and chase the fantasy points, however, as Prescott has scored fewer than 14 points in seven of his last eight road contests. This could be a low-scoring affair at FedEx Field. If you were hoping for the 2017 version of Smith this season, well, you've been disappointed so far. In fact, he's scored 17-plus fantasy points once in his first five games. I'd expect him to produce another blah stat line against the Cowboys, who have held quarterbacks to just 16.5 fantasy points per game this season. Fade Mr. Smith.